Coldplay teamed with Apple to promote its Beats Pill in a music video; Charli XCX worked on Unilever’s deodorant brand Impulse last year to design two hit limited-edition spinoffs, Rock & Love and Vanilla Kisses. Like consumer-goods companies record companies are using audience data to collaborate with brands to gain media value and drive revenue. The humble napkin has often been the medium for fast-paced creative work at random moments — and now it's an icon in a new initiative at the Middle East's Dubai Lynx competition. 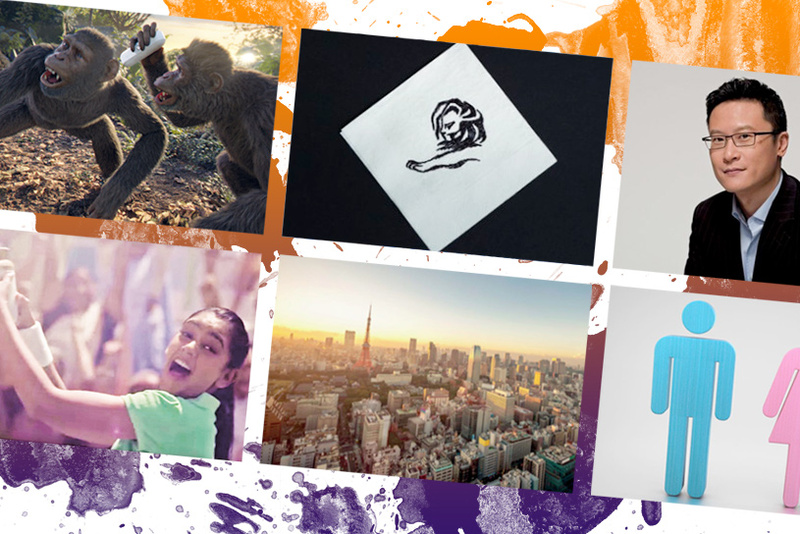 At this year's Lynx, Magnet is launching the Creative Napkin Award and will give the winner of the most creative napkin a roundtrip ticket from Dubai to Cannes and a Cannes Lions Mini Pass. Napkin and pen boxes will be distributed throughout the festival. Campaign UK and the IPA (a UK industry association) have conducted an extensive survey of diversity in the ad industry. The results on gender: "Overall, advertising is gender-neutral but, as people move up through the ranks, the percentage of women declines to the point where less than a third (30.5%) of those whose job title is chair, chief executive or managing director are female." Chinese tourism has long been big business in Japan, but visitors' motives are becoming more diverse, according to a whitepaper from Dentsu and 6Estates. One discovery: While many Chinese tourists still travel in groups and focus on practical purchases, four in 10 Chinese travelers now explore the country independently and spend more money on status items such as luxury goods, cosmetics and kimonos. Gender sensitivity in ads: Truth or tokenism? Many brands are taking the lead in portraying progressive Indian women. A study commissioned by Population First (Laadli) through Campaign India sought perspectives from the industry on the image of women in ads, its sensitivity to gender and the factors raising consciousness. Kartik Smetacek, ECD, L&K Saatchi & Saatchi, notes, "Advertising is definitely changing the way women are traditionally portrayed. In fact, in recent times, the ‘strong woman’ has emerged as a stereotype in herself." Havas China has appointed industry heavyweight Donald Chan as CEO of its creative operation, effective 28 March. Chan's last high-profile role was CEO of Leo Burnett China, a position he left over a year ago. Dow Jones’ Katie Vanneck-Smith is determined to lead the way in transforming the media landscape into a membership world, starting with the Wall Street Journal. At last week's Media360Summit, Vanneck-Smith took delegates through the way The Wall Street Journal (WSJ) is transitioning from a subscription model to a membership model, which is more than a mere semantic difference, she argued. Behind the scenes, Vanneck-Smith provided more detail about how the program works and why she is so passionate about the transition, which in the end is about nothing less than saving journalism.